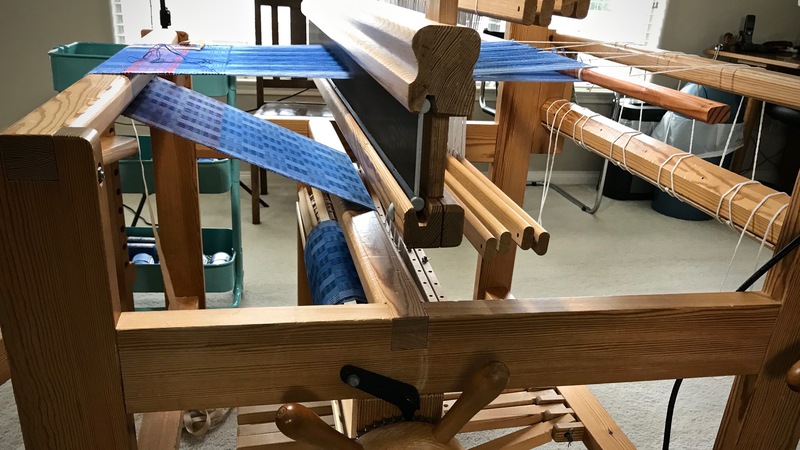 What a delight to weave with just one shuttle for a change! It is relaxing to weave this Swedish lace wrap. 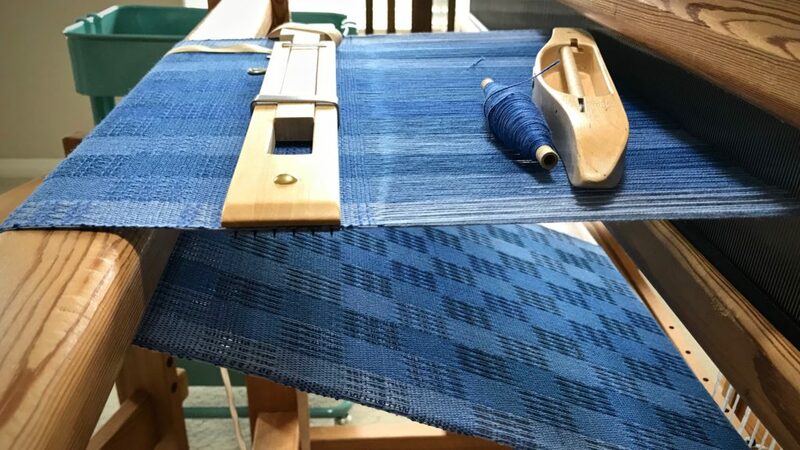 Even moving the temple and getting up to advance the warp becomes part of the natural rhythm of weaving. Empty quill is replaced with a filled quill from the loom bench basket. Smooth operation. My foot needn’t even leave the treadle. There is one thing that breaks my stride. An empty quill. If I have to stop in the middle of a sequence to wind more quills, I lose momentum and sometimes I even lose my place. Solution? Stop ahead of time at a sensible place in the sequence and wind quills to put in my loom basket. Then, while weaving, it’s a seamless motion to change quills and keep going. It’s a pause instead of a dead stop. Hemstitching at the end brings the weaving stage of this piece to a close. We need to prepare for those times when people seem harder to love. It helps to think ahead, and fill our heart basket with the thoughts of kindness and humility that are essential to keep going. We have a good reason to love each other. We have been loved first. God so loved us that he gave his son. This is the Christmas news. God sent his son to be born here on this earth to be with us hard-to-love people and to save us. That’s good news worth celebrating! May your heart basket be filled with love. Hi Angela, thank you for the love! Hi Susie, I am so warmed by your kind sentiments! I don’t think that I could say it any better than Susie Weitzel did, Karen. Hi Annie, and a very merry Christmas to you!